A CRITICAL AND CREATIVE HISTORY OF RUNNING | RUN! RUN! RUN! Why has running, unlike walking, been invisible from cultural institutions? Why do artists, curators and historians seem to sidestep running-related artefacts or stories? What is the history of running? What is a history of running? 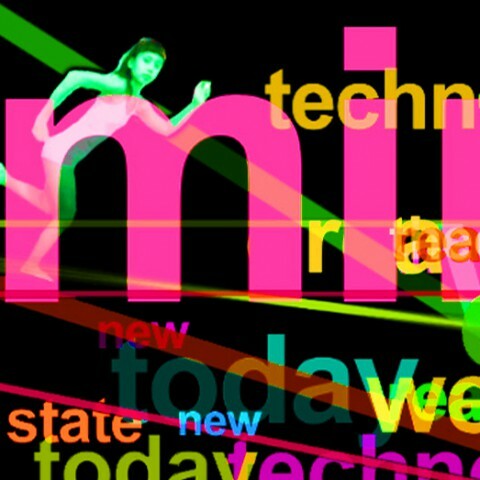 What could a history of running that includes the contemporary look like? What could a contemporary, artistic story of running look like? This is a program of object-based art practice-related research that aims to unearth, invent, and reclaim a critical and creative history of running. Kai first conceptualised this project in 2011. The project will start by selecting four objects of a given museum archive. Through these objects, a series of explorations of the matter and meanings of running will be developed: as an experience, a capacity, a skill, as a cultural trope. The aim of the project is to suggest a series of provocative ways of thinking about the mundane practice of running through objects within museums and collections. These will be presented in a series of exhibitions, interactive objects, workshops, and tours aimed at the general public. The approach is partly inspired by Grayson Perry’s Tomb of the Unknown Craftsman carried out at the British Museum. What objects and collections will the project be interested in? Cast of an early human runner. The letters and writings of Jeremy Bentham: Few people know that, ‘in order to be refreshed’, Bentham would jog at St James’ Park; he called his exercises ‘pre-prandial circumgyrations’. He also thought treadmills could be used to reform criminals. Sir Roger Bannister: Bannister was the first man to run a sub-four minute mile and worked for many years at the National Hospital for Neurology and Neurosurgery researching (amongst other topics) the connections between neurology and exercise. ‘Where’s The Runner In the Cultural Institution?’ Game book. ‘Tailor-Made For Running Human Assembly Kit’ A 3D printed model kit. An unusual treadmill entitled ‘The Topsy-Turvey Time-Travelling Treadmill’. ‘Running Heritage Trails’. With accompanying maps and app. Since at least the 1970s running has become a popular exercise practice. Philosophers, novelists, and others are beginning to explore running in their research. Yet, hitherto, curators, artists and humanities scholars have been slow to explore running as a subject matter or creative approach. Missing is a critical and creative narrative about running. In looking for, and inventing a history of running, this project attempts to address this lacunae and (re)claim running’s place in art and academia. 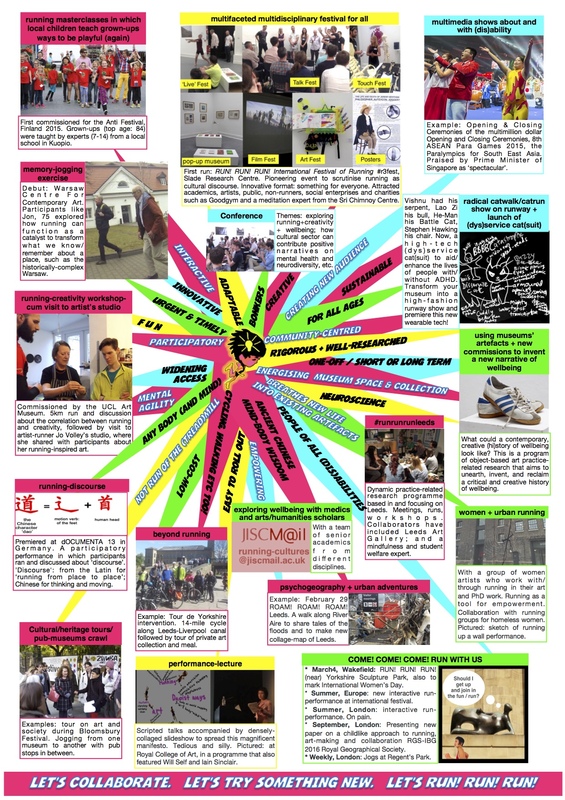 This project can contribute to existing critical discourses in the areas of global health, heritage and human wellbeing. 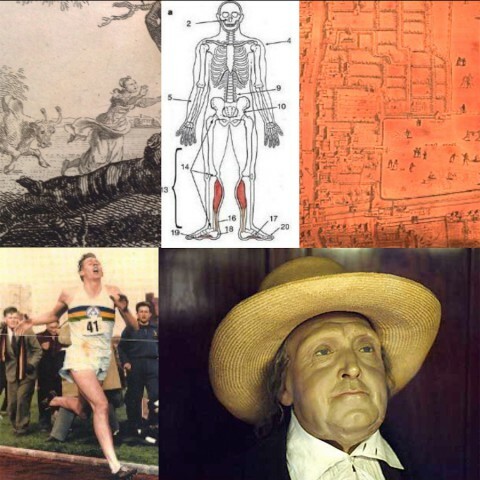 Above (left-right): Print from the UCL Art Museum (UCL Art Museum); skeletal structure of the human body that is tailor-made for running (Bramble and Lieberman 2004); an ancient map of London (Museum of London); Sir Roger Bannister breaking the sub-1-minute mile record (image from the internet); Jeremy Bentham, as em-bodied by an actor (UCL).